August 2012: What I Bought | Save. Spend. Splurge. I was very skeptical before buying these. How can they look good on everyone? Second, it isn’t mid-rise, it’s their lowest rise — City — which I normally hate. Third, these things always sag out on me *sigh* Fourth.. no pockets. ….then I tried them on… and they looked AMAZING. So I bought them and wore them with the tags still on (yes, I plead guilty), until I WAS SURE they were good pants. Now, I can’t stop wearing them. I’m 5’4″, and they fit exactly like on the model above, a few inches above the ankle. I will note that I always wear a belt with these because they’re low rise, not mid… and my body type (inverted triangle) dictates I need a belt. They look and feel great! 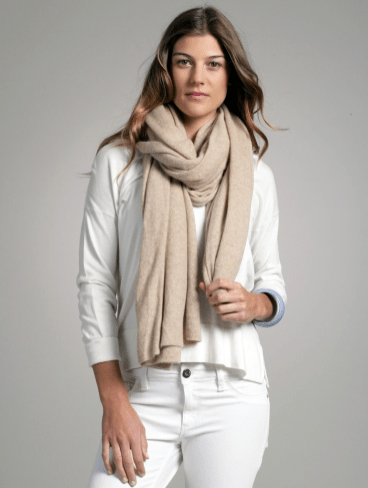 WHITE AND WARREN TRAVEL WRAP = $250.75 — 15% off! So this is the travel wrap that was stolen. The exact one. 🙁 I bought a secondhand Hermes cashmere wrap to wear on the plane and I love it, but it is missing that thick, cashmere softness of a blanket that I can use as a blanket on the plane (for my legs) or in the hotel rooms to stay warm. So I bought a new one. 15% off. YAY! I went with the oatmeal colour so that stains don’t show up as easily as on my previous white one. I bought enough to last me a year or more. I will use this Clarisonic brush for years to come, and the brush heads have to be replaced every 3 months or so, so this is an inevitable cost for me. Stocking up. I found a lot of Holy Grail products this month. I’m surprised at that! For $3 per pad (5 in each pack), what do I have to lose? They got incredible reviews online and I’m game to try at that price point for 5 days. I use a towelette every 2 weeks on my face, and with my recent SPF-binge, I should be set to make sure my skin gets protected. The first two times I used the pads, my skin was NOT used to it. Burned slightly, and made my facial hairs stand up and feel fuzzy. The third time, worked like a charm. I think the method is to use them once a week and no more, especially since I’m already exfoliating with the Clarisonic Mia as well. So far, I just like how they make my skin look slightly better, but perhaps my skin has gotten so good, I don’t need something like this, like I had before. This has to be THE BEST SPF I’ve ever tried. Hands down. I’m not searching any longer, I’m going to stick to using this forever. I bought the large 4.2 oz bottle and the travel-size 1.7 oz bottle. Why? Because it felt nice on my skin, was tinted so they don’t give my face a white cast, and came highly recommended. I find it to be more liquidy/watery than other SPF sunscreens, but I prefer it like that because it’s easier to spread on, not as thick, and it won’t melt (and burn) into my eyes the way the cheap ($10) and greasy Neutrogena Dry Touch SPF 100 did. It’s slightly tinted, so you won’t see a white mask, but that just means I go light on the foundation, if any at all. Seriously! Then I just puff over some Makeup Forever HD Powder to finish and my skin looks matte, and is SPF-50 protected the whole day. I still use a SPF 15 moisturizer underneath, only because it is too dry to use without a moisturizer. I am never buying another different SPF again. I’m done. OUCH. I hate, HATE this price tag, but I am too nosy and curious to pass up trying it. Apparently if I wear it in the morning, underneath my SPF, it will help soak in and fend off free radicals, while boosting collagen in my skin to keep it young and plump. Sold…. at least, to try it. If I hate it or don’t see the point, I will never. EVER. buy it again. And I will tell everyone how much I hate it. I. Love. This. Powder. I am never buying another translucent powder again. I got a little sample from Sephora for 100 points. I’ve been trying powder compacts from Josie Maran (still very nice), and other ways to try and mattify the shine of the SPF on my skin, and this is #1 for me. A little bit, on a fluffy brush, swept over the shiny-looking areas of my face, and it stays matte the whole day. I haven’t tested it in a work environment, but I think this stuff is incredible. I won’t bother trying anything else. This stuff works. The only con is that it turns your face white in photographs if you use it. You will see how weird it looks (kind of like how Bare Minerals makes you look like a shiny alien in photos). But otherwise, it is transparent, goes on softly, you use very little of it and it mattifies all day from 7 a.m. until 7 p.m.
I’ve tried the Marcelle BB cream, and I thought I loved THAT, until I realized the whole point of a BB cream is to have SPF in it too, which Marcelle doesn’t. Enter: Smashbox. I took samples of all the BB creams I could find at Sephora, and ended up liking Smashbox. I find it thick, VERY thick, but I only use a small dab and I really rub it in over my already-SPF’d face where I have very light discoloration. Again, another Holy Grail of products for my eczema. On a whim, I picked this up at the Sephora counter, and I am totally loving it. Note: I buy the CREAM not the lotion, which is watered down. It stinks a little (camphor), and it goes away, but this glycerin-heavy formula soaks RIGHT INTO my skin. I don’t feel a waxy, sort of strange cover on my skin that rubs or peels off. It is also NOT PETROLEUM BASED!!!!!!!!!!!!!! My eczema-prone skin hates any kind of waxy residue. This stuff… wow. My skin is super soft, I don’t feel any kind of waxy residue and it soaks on SO QUICKLY it feels like I haven’t rubbed any lotion on. Amazing. I think I’ve found my holy grail of lotion for my eczema skin that is not heavily fragranced, or too overladen with chemicals. Just added three things to my wish list for Christmas! Hope you like them. I strongly vouch for Skinceuticals SPF 50 and YuBe cream THE MOST. I have eczema too = I just get it across the bridge of my nose. I have a prescription from my doctor for it. I NEED to get the clarisonic mia. Everyone raves about it! And I want to try some BB cream. Try the YuBe cream and see how you like it. The Clarisonic is THE best item I own for my face. Wow, you seemed to get a lot of skin care products from Sephora this month. As a fellow adult sufferer of eczema, I’m curious- what is your daily skin care routine? This month, I was trying a few new things but I have been buying and experimenting with products to find my perfect products. This month, I found the perfect SPF face cream ( Skinceuticals ) and body/face cream — YuBe. For my face, in the morning, now I just splash water. I used to wash my face with the Clarisonic brush but I’ve realized I don’t need to. Currently I am trying the SkinCeuticals Phloretin serum as the first step but I’m leaning towards not buying it again. Then I usually use Shiseido SPF 15 moisturizer, and before I leave the house, I put on SkinCeuticals Physical Fusion, then makeup if I wear any that day. At night, if I wore makeup, I use Costco Kirkland makeup wipes. I tried baby wipes but they are not as good. 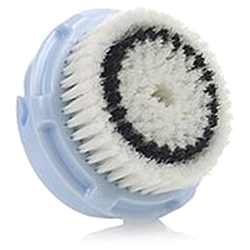 Then I use a Clarisonic brush with my Korres white tea fluid gel. I finish with DDF moisturizing dew but I find it too light, so I’m currently experimenting with using YuBe cream on my face to see if I can cut out a product. 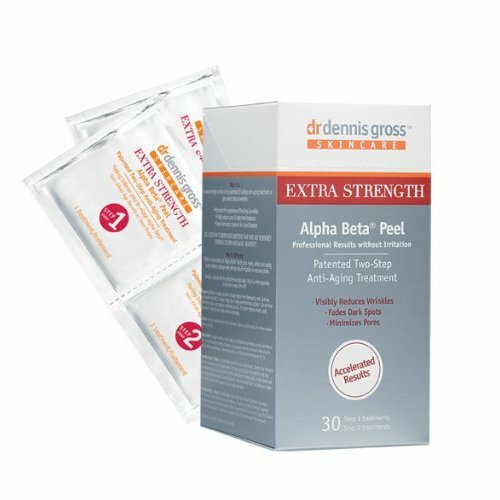 Then I’m trying out the Grossman Alpha Beta peels but I won’t buy them again, as my skin is pretty clear and awesome these days. For my body, it is now YuBe cream. I use a steroid when I truly have to — Clobetasol, but I try not to.